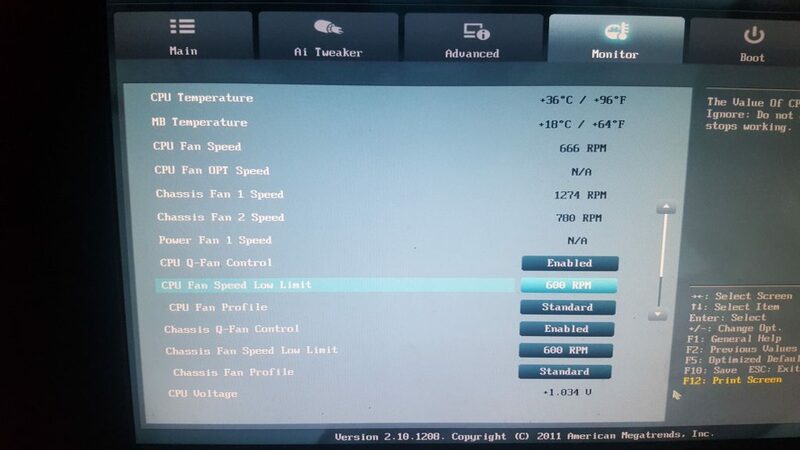 The first thing to do is check the fan is ok and is plugged in correctly but if you have done that and it seems good then this can be an annoying problem to solve. 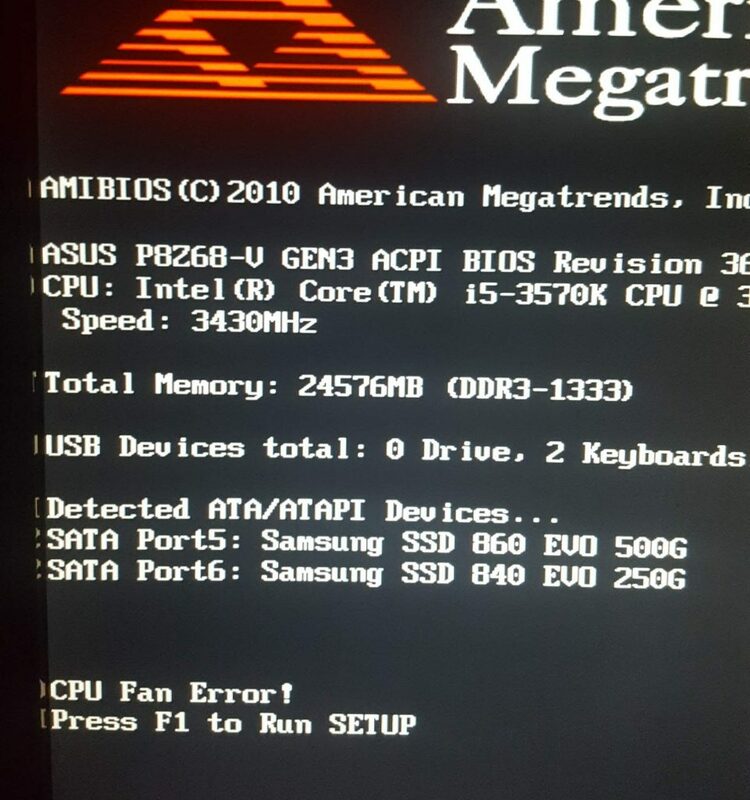 On my computer I would restart a few times and then all of a sudden for what seems like no reason it would work and go straight through as if everything is normal. You can see above it is spinning at 581 RPM. 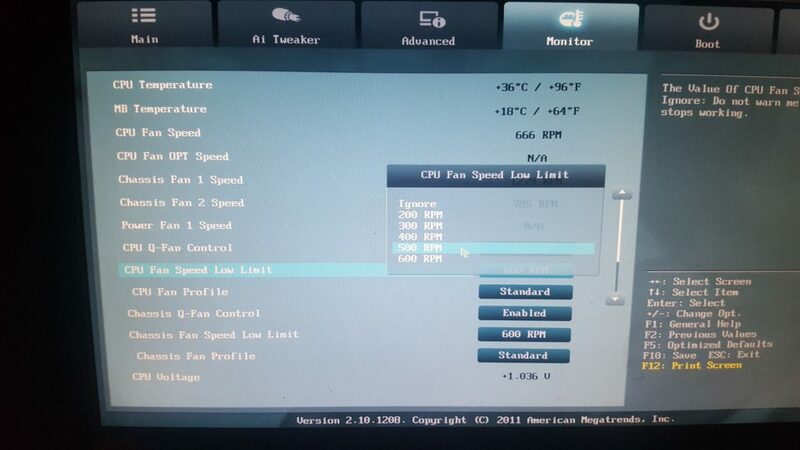 To check and change the trigger limit I had to go to advanced settings then click on the “monitor” tab which then had a setting called “CPU Fan Speed Low Limit” which was set to 600 RPM. 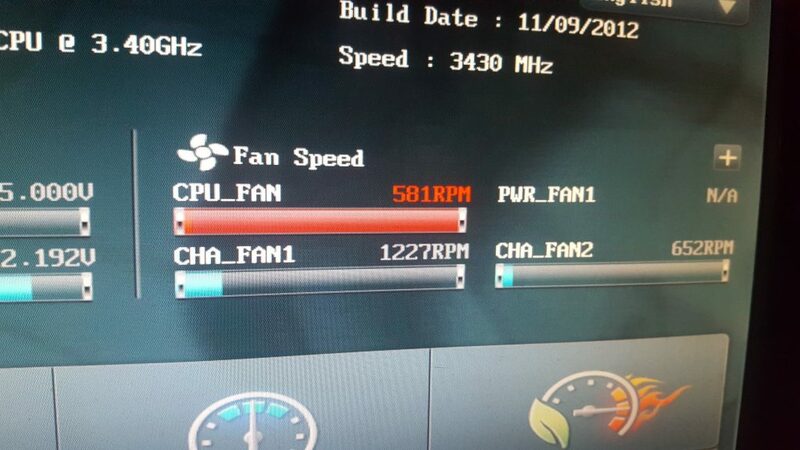 There is the reason we are getting the error, my fans spinning at 581 and the low limit is 600. So I clicked the button and a drop down list appeared, simply select a lower value, I went for 500 RPM which solved the problem and meant my PC started fine every time.